Play IconMania: Movie & Icon Quiz for FREE now! 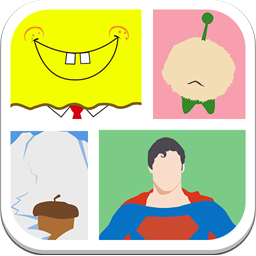 IconMania: Movie & Icon Quiz is a Pictionary game where you have to guess the pop icons. There will be logos and icons of movies, celebrities, brands, countries, cool people, and anything you can think of. You just have to guess the pic to solve then pop icon puzzle. Some of them are easy and some are quite challenging, but this is definitely a very cute game. This icon mania is truly the best casual game and the most iconic quiz you can find! If you love pictionary and guess the pic games, you will love our icomania game! Now you can play guess the icon from your Android device. We handcrafted some of the most awesome logos and icons that you have to guess. We have created over 1000 logos and icons so you will have a lot of excitement and fun playing this logo quiz cute game. The pictures will vary. Sometimes you will find logo & movie icons. Sometimes they’re logos of cool people or brands. These people can be movie stars, celebrities, famous actors, or famous artists. 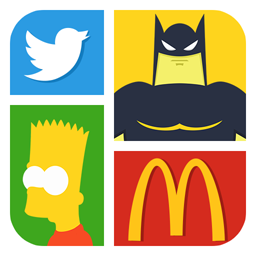 We created this mix between icomania & movie game just for an icon mania like you. 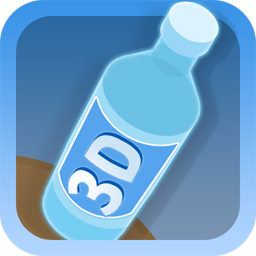 We challenge you to download our game and test your knowledge in this awesome iconic quiz!